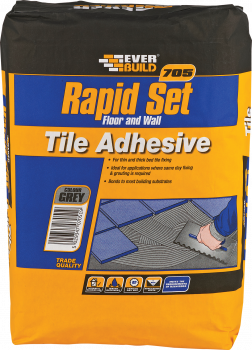 Rapid Set Tile Mortar is a fast-setting thick or thin bed adhesive for bonding ceramic tiles to floors and most walls where same day fixing and grouting is required. Can be used internally and externally and bonds to most building substrates such as concrete, cement screeds and render etc. Tested to EN12004.